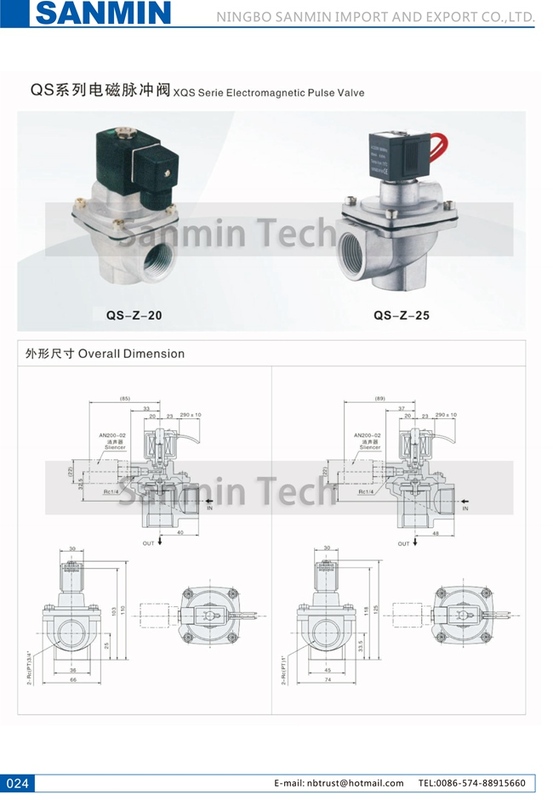 G3 / 4 " , G1 "
Good quality membranes shall be selected and used for all the valves , with each part checked in each manufacturing procedure , and put into the assembly ling conforming to all the procedures , Every finished valves shall be taken the electriferous blowing test . 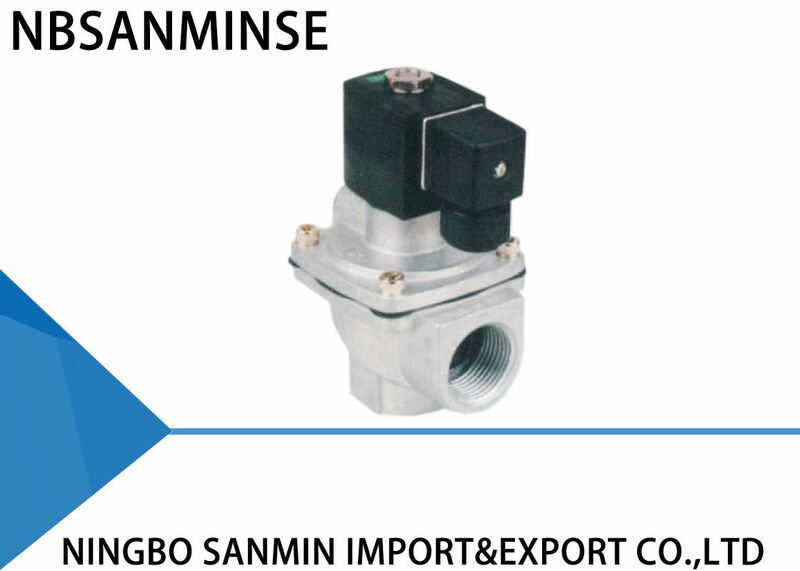 Electromagnetic valve ( Also called diaphragm valve ) is the” switch “for compressed air in the dust clean blowing system of the pulse bag filter . Controlled by the output signals of the pulse jet control device , it makes dust clean to the filter bags cell by cell to keep the resistance of the baghouse within the set range and thus guarantee the processing functions and the dust collecting efficiency of the baghouse . Z type electromagnetic pulse valves is a right angle valve , with the 90 degree , angle between the inlet and outlet , which is suitable for the installation connection between the gas dome and the baghouse blow tube provide good air flow and dust clean pulses satisfying the requirements .